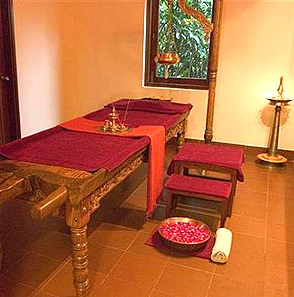 A unique destination spa located in the picturesque foothills of the Himalayas, the birthplace of India’s ancient arts of Yoga, Meditation and Ayurveda. An enriching range of choices is available, providing an alternative to city life this winter. 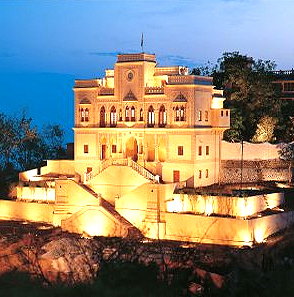 Opened in September 2000, the Destination Spa is built in the Maharaja’s palace estate and located 260 km. north of New ananda. Ananda features a restored Viceroy’s Palace, world-class spa, 75 deluxe rooms and suites and 3 Private villas with breathtaking view of the Ganges River and the Himalayas. 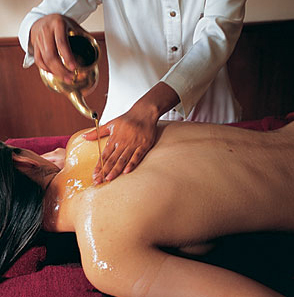 Spa treatment choices are offered within the 25,000 sqr. ft. Spa facility with an extensive selection of therapies: 24 treatment rooms, outdoor temperature-controlled swimming pool and luxurious hydrotherapy facilities. Please add 7% Government tax to the above tariff. All Taxes are as applicable (currently 7% Luxury Tax). These rates are applicable to those domiciled in India, whether Indian Nationals or Foreign Nationals with a certificate of registration. Valid till September 2009 with the exception of Christmas and New Year Period. Please ask for our special Christmas and New Year package rates.